Dr. Antony Burnham from the ANU Research School of Earth Sciences with a sample of zircon under the microscope. Credit: Stuart Hay, ANU. Scientists at The Australian National University (ANU) say the early Earth was likely to be barren, flat and almost entirely under water with a few small islands, following their analysis of tiny mineral grains as old as 4.4 billion years. Lead researcher Dr Antony Burnham said the team studied zircon mineral grains that were preserved in sandstone rocks in the Jack Hills of Western Australia and which were the oldest fragments of the Earth ever found. "The history of the Earth is like a book with its first chapter ripped out with no surviving rocks from the very early period, but we've used these trace elements of zircon to build a profile of the world at that time," said Dr Burnham from the ANU Research School of Earth Sciences. "Our research indicates there were no mountains and continental collisions during Earth's first 700 million years or more of existence - it was a much more quiet and dull place. "Our findings also showed that there are strong similarities with zircon from the types of rocks that predominated for the following 1.5 billion years, suggesting that it took the Earth a long time to evolve into the planet that we know today." Dr Burnham said the zircon grains that eroded out of the oldest rocks were like skin cells found at a crime scene. 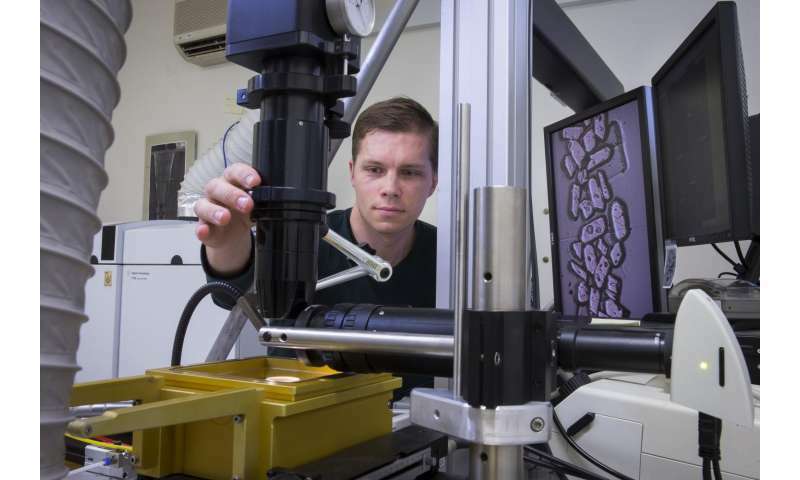 "We used the granites of southeast Australia to decipher the link between zircon composition and magma type, and built a picture of what those missing rocks were," he said. The first known form of life emerged some time later, around 3.8 billion years ago. Dr Burnham said the zircon formed by melting older igneous rocks rather than sediments. "Sediment melting is characteristic of major continental collisions, such as the Himalayas, so it appears that such events did not occur during these early stages of Earth's history," he said. Dr Burnham said scientists in the field were able to build on each other's work to gain a better understanding of early Earth. 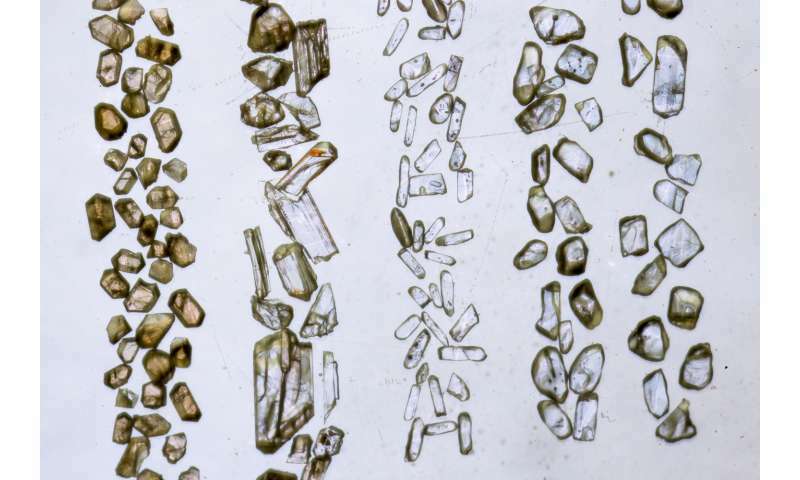 "The samples of zircon from Jack Hills have been collected over the course of several decades by many people, while chemical analyses carried out by an ANU research group 20 years ago have proved invaluable," he said. The study, 'Formation of Hadean granites by melting of igneous crust', is published in Nature Geoscience. Journalists can receive a copy of the research paper, upon request. How did the Late Heavy Bombardment affect Earth's crust? "it was a much more quiet and dull place." "Earth was barren, flat and almost ..."
-hang on! The Earth was "flat" and not "round"? But the Earth is "round" now, right? Yes, wasn't the water moving, and maybe quite dramatically? somewhere between 60 million - 200 million years after the solar system formed? Hang on people. Don't forget the first chapter of the book of Earth got lost. The story in that section must have been pretty dramatic. The moon likely started out as a series of rings for a pretty long time too.